As President of Advisory services, Lou oversees each of the advisory and functional wealth planning teams in all six offices across the firm. He is passionate about developing advisors and client service teams that are regarded by clients to be their “first call” for any and all financial questions, decisions or challenges. Joining the JFS team in early 2015, Lou brings over 30 years’ experience helping entrepreneurs and business owners increase and manage their wealth. Lou possesses an extensive knowledge of investment management, wealth and estate planning and small business consulting. 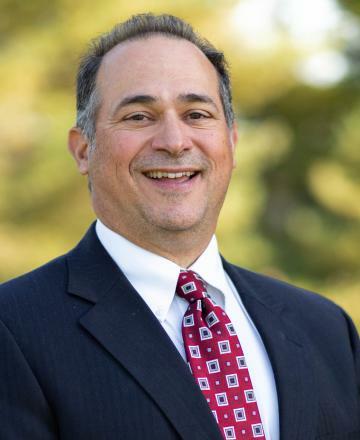 A 1985 graduate of Youngstown State University, Lou earned a Bachelor’s Degree in Accounting and also earned his CERTIFIED PUBLIC ACCOUNTANT certification in 1987. In 2015, Lou obtained the CERTIFIED FINANCIAL PLANNER™ certification as well as the Personal Financial Specialist designation through the AICPA. Prior to joining JFS, Lou worked as Director of Finance and Operations for Walnut Ridge Strategic Management Co. in Akron, OH and held senior financial management positions with several private firms. In his free time, you might find Lou in the outdoors, fishing, golfing, or hiking in nature, or spending time with family and friends.